LAMPMAN, ARCHIBALD, poet and postal clerk; b. 17 Nov. 1861 in Morpeth, Upper Canada, first child and only son of Archibald Lampman and Susannah Charlotte Gesner; d. 10 Feb. 1899 in Ottawa. Archibald Lampman is commonly identified with a group of early Canadian poets which included William Bliss Carman*, Charles George Douglas Roberts*, and Duncan Campbell Scott*. They have been variously referred to as the “group of the sixties” or “poets of the Confederation.” Born within a year or two of one another, 1860–62, they all grew up in the benign shadow of an act of the British parliament that gave the British North American provinces the status of a nation in 1867. Nature figured prominently in their work, and a vague transcendentalism, but they were not otherwise closely linked. Lampman was intimate only with Scott, and it was this friendship which illuminated his life between his coming to Ottawa in 1883 and his early death in his 38th year. The Morpeth that Lampman knew was a small town set in the rolling farm country of what is now western Ontario, not far from the shores of Lake Erie. The little red church just east of the town, on the Talbot Road, was his father’s charge. Lampman was of loyalist stock on both sides of the family. The European roots were German on his father’s side and Dutch on his mother’s, but in the more immediate line of descent both of the poet’s grandmothers were Scottish. Peter Lampman, the poet’s grandfather, belonged to the third generation of German immigrants who had settled in New Jersey in 1750. After the American revolution the family moved to Upper Canada and established a fruit farm between Thorold and St Catharines. Archibald, the poet’s father, was the third son of Peter Lampman and Agnes Ann McNeal, daughter of Scottish settlers who had come to Upper Canada from Baltimore. 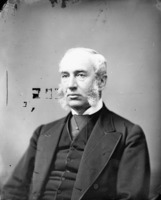 After graduation from Trinity College, Toronto, in 1857, Archibald Sr was ordained priest in the Church of England and sent to Morpeth as rector of Trinity Church. There he met the poet’s mother, Susannah Charlotte Gesner, and in May 1860 they were married. The origins of the Gesner family were in Switzerland and Holland. The Gesner line that leads from an immigrant’s farm and grist-mill at Tappantown (Tappan, N.Y.) to Upper Canada and Morpeth emerges, as does the Lampmans’, from the choice of loyalties which the revolt of the American colonies entailed from 1776 on. The poet’s grandfather on his mother’s side, David Henry Gesner, was born and raised in Nova Scotia. At the age of 27 he headed west and in 1825 he took up a grant of 200 acres on the shore of Lake Erie. In 1827 he married Sarah Stewart, daughter of Scottish emigrants from Ulster. The Gesners prospered, and it was in the Morpeth church which Gesners had helped build and maintain that David’s daughter, Susannah Charlotte, married the Reverend Archibald Lampman in 1860. 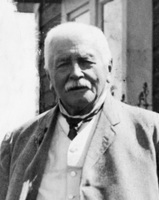 The stock is honourable, typical of pioneering achievement at its best, and if the young Archie, as he was affectionately called, is to make little mention of it in his writings it is probably because he took his roots, firmly bedded as they were in the North American experience, for granted. He was to worry about many things but not at all about his Canadian identity. Of the personality shaped from these diverse inheritances, one can say only that in it the intellectual, contemplative, and active parts were in decent equilibrium. Archie was a first child; three sisters were to follow in fairly quick succession. Lampman had a happy childhood. His parents were doubtless stern in the manner of the day, but they were loving, and he remembered them with affection to the end of his life. No demons here. In 1866 the family moved to Perrytown, near Port Hope, where Lampman’s father had been appointed rector, but the stay was to be a short one, and the following year they were established at Gore’s Landing on Rice Lake, about ten miles north on the old Peterborough trail. There Lampman spent the formative years between seven and thirteen. It is an idyllic countryside, and it is worth remembering that the three places Lampman knew best, Kent County in western Ontario, the Rice Lake district in central Ontario, and Ottawa and the Gatineau hills in the north, were all places, winter and summer, of great and sometimes spectacular beauty. Young Archie’s education, begun by his father and heavy with instruction in the Bible and the classics, was continued at Rice Lake. There was a school of some renown at Gore’s Landing, and Lampman was enrolled in it in 1870. It was run by Frederick William Barron, later described as “one of the most famous of early Canadian educators.” Barron was a Cambridge graduate, and the school he ran was a fair copy of an English preparatory school transported to the frontiers of Upper Canada. Lampman did well. He was not unduly precocious, but clearly an achiever; and, so the story goes, with his chestnut-brown hair, bright brown eyes, and easy disposition, thoroughly winning in his ways. Illness seems to have been the only blot on these good years. In November 1868 Archie contracted rheumatic fever. Complications left him lame for four years; and his weakened heart was to be instrumental in his early death. Meanwhile, the cloud passed. Nature made its constant offerings of delight to the young lad: the lake with its big beds of wild rice and its fishing holes; the fields where stumps were giving way to cultivation; the virgin forest with its splendid displays of birds and wild-flowers. There were satisfactions for the mind and spirit as well as for the body. 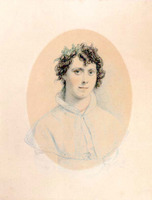 The Barrons, of course, were in the vicinity, as were the Atwoods, the daughter and son-in-law of another neighbour, Catharine Parr Traill [Strickland], who was an occasional caller at the rectory; sometimes Susanna Moodie [Strickland*] came up from Belleville for a visit with her sister. From the class-room to the outdoors, from the community to the home, it was a setting congenial to reflection and the arts. This period in Lampman’s life, his happy boyhood, ended with the family’s removal to Cobourg, a busy town on Lake Ontario, in 1874. The reason for the change seems to have been his father’s indifferent health; and in Cobourg he accepted a subordinate position as curate at St Peter’s Church. The new home sat across the street from the church, a tall, narrow red-brick house with its back to the lake. Money being scarce, Mr and Mrs Lampman offered private tuition to eke out the curate’s income. Archie, 13 years old, entered the Collegiate Institute in Cobourg. In 1876 he would be sent to Trinity College School in nearby Port Hope. This was the privileged gateway to higher education, and he would complete his studies there in 1879. With the move to Cobourg, therefore, Lampman entered the single track which would take him, five years later, to the university. Not to Cobourg’s Victoria College, of course, which was Methodist, but to Trinity College, Toronto, which was Anglican and his father’s alma mater. It is perhaps possible at this point to catch something of the adult in the young man. The Lampmans set great store by education, and it must simply have been assumed that their son would, despite their lack of means, somehow go on to a university degree. But in preparation for what: the church, law, medicine, teaching? The record is curiously silent about the family’s plans for Archie and, for that matter, about Archie’s plans for himself. He remains gregarious and physically active. He keeps up his good marks, even wins prizes and bursaries. But now his reading is becoming more general in scope, less specific to his studies. He likes books on history and travel. He is fascinated, like some of the English romantics he is exploring, by exotic tales of far-off times and distant places. John Lemprière’s Classical dictionary is to become a favourite. D. C. Scott, who loved Lampman like a brother, was later to describe him as being, by the time he reached his university days, only a “desultory student.” It is of course possible that Archie’s ambition, undeclared, was already to be a poet. But no poetry surfaced in these years, and his first ventures in writing, at the university, were to be in prose. And so he moved into his late teens in a kind of vocational vacuum. The commitment to poetry would soon be made; but the sense of a vocational vacuum would persist. But if these were heady times for Lampman, there were also constant reminders that his days at the university were numbered and that he would soon have to find a job. Teaching was a possibility, although he viewed the prospect with no enthusiasm, and indeed the letters of application he wrote to school-boards hovered on the edge of self-mockery. He was accepted at Orangeville, and he taught high school there for three unhappy months in the fall of 1882. To his friend John Ritchie he wrote: “Take the advice of one whose eyes have been terribly opened, never descend to the abyss of pedagogy if there is another path open in any direction to thee in this life.” He left his job in December and moved back to Toronto. Through the influence of his friend Archibald Campbell, whose father, Sir Alexander, had recently been postmaster general, he was offered almost immediately a position as clerk in the Post Office Department in Ottawa. He began his new job in January 1883. In a memoir written a year after Lampman’s death, Scott was to call the last 16 years of the poet’s life “placid and uneventful.” Uneventful it was, within the common meaning of the word. Lampman stayed with his job at the Post Office Department throughout, earning only one promotion, more or less automatic. He had the prospect of a job in Boston, where his friend Edward William Thomson* was editor of the Youth’s Companion, but he turned it down. There was a possibility of a position in the library at Cornell University, but nothing came of this. Although Lampman strayed little from his base in Ottawa, he took to the country whenever he could, for he was not a city man. Ottawa was not a big place then, scarcely more than 20,000 people in the 1880s, and the country was not far away. He knew well the Hogs Back area to the west of the city, where his parents had a cottage on the bank of the Rideau Canal. He crossed the bridge to Hull and hiked the trails along the river and into the woods of the Gatineau hills. When Scott introduced him to canoeing he had the key to the wilderness beauty of the Laurentian Highlands in his hand; and he was delighted. With Scott and others he explored the upper reaches of the Gatineau and Lièvre rivers, and there were expeditions farther afield to Lake Timiskaming and Lake Temagami, once at least to the rugged north shore of the St Lawrence River at Les Éboulements. Of the prairies and the west he knew nothing, and even in the east his visits to other centres were rare: a few times to Toronto and Montreal, twice to Boston, once to Quebec, and once to Digby, N.S., where he looked up relatives. In Ottawa on 3 Sept. 1887 Lampman married Maud Emma Playter, 20 years old, daughter of Dr Edward Playter*, formerly of Toronto. They had a daughter, Natalie Charlotte, born in 1892. Arnold Gesner, born May 1894, was the first boy, but he died in August. A third child, Archibald Otto, was born in 1898. Finances were strained, and the newlyweds lived for a time with the Playters. Between 6 Feb. 1892 and 1 July 1893 Lampman joined Scott and William Wilfred Campbell* in contributing short essays to a weekly column in the Toronto Globe called “At the Mermaid Inn.” Lampman wrote 87 pieces at three dollars per copy. Meanwhile, in the background, which was really the foreground for Lampman, was the poetry. He worked hard at his apprenticeship and quickly mastered his craft. Constantly on the look-out for subjects, he patiently revised his work as he passed poems from scribbler to notebook to final draft; and he was forever sharpening images, whether in word or phrase, until they took on the hard clarity that is the hallmark of his achievement. Lampman wrote more than 300 poems in this last period of his life, although scarcely half of these were published prior to his death. For single poems or groups of poems he found outlets in the literary magazines of the day: in Canada, chiefly the Week; in the United States, Scribner’s Magazine, the Youth’s Companion, the Independent, the Atlantic Monthly, and Harper’s Magazine. In 1888, with the help of a legacy left to his wife, he published Among the millet and other poems. In 1895, after many delays and difficulties with a number of publishers, Copeland and Day of Boston published Lyrics of earth (it actually appeared the following spring). A third volume, Alcyone, and other poems, in press at the time of his death, was held back by Scott (12 specimen copies were printed posthumously in Ottawa in 1899) in favour of a comprehensive memorial volume planned for 1900. Lampman had been made a fellow of the Royal Society of Canada in 1895. His obituary in the Ottawa Journal noted that he had been a member of the Social Science Club and, a bit surprising to those who would find but faint reflection of this in his poetry, a member of the Fabian Society and “one of the leading Socialists of the city.” It was not on the surface an eventful life. “Placid” is another matter. Lampman’s spirit, from the end of his university days, had become increasingly troubled, beset by what he called a “morbid sensitivity.” Ironically, poetry was both a main source of his suffering and its therapy. Before he had left Toronto for Ottawa, he had written to a friend: “Good or ill – poetry is to some men like the magnetic sea mountain in the Arabian Nights, that drew the very nails out of the ships to their distraction. This same delusion will doubtless ruin me, unfitting me for any solid profession, and yet in the end fulfilling none of the vapoury hopes I have founded upon it.” Lampman was certainly not “ruined” by poetry, yet what he had said in his letter was to become a kind of self-fulfilling prophecy. By the end of the 1880s he was in full command of the type of short nature poem on which his reputation was ultimately to rest. Always, however, he had wanted to do something on a grander scale, poems with “more human life” in them, as he put it, and now, urged on by his friend Thomson, he laboured over a series of long dramatic narratives, some of them drafts from earlier days, based on ancient tales and biblical lore. They did not work; Lampman knew, as his critics were to know later, that there was not a spark of life in them. By 1893 he was thoroughly depressed. “There is one kind of work I can do,” he wrote Thomson, “nature work, as they call it and I had better confine myself to that.” The long delay in finding a publisher for Lyrics of earth increased his sense of failure. Meanwhile, his private life was disturbed by a “personal drama” only recently disclosed in its particulars: for some time he had been having an affair (if that is the word) with a fellow-worker at the Post Office, Katherine Waddell, whom he had met in 1889, and it was becoming clear that they must break the connection. In the face of all these trials one is inclined to say, as Scott said on occasion, “Poor Archie!” Critics were later to draw parallels between Lampman’s afflictions and the afflictions of Keats. But Lampman, though often hard up, was never poor; nor was he ever reviled by the critics. He had friends in reasonably high places, and he was well served by the incomparable loyalty of Scott and Thomson. Although he despised, and lampooned in his letters, the intellectual environment of Ottawa (“I am suffocated. If I had the genius of Milton, I could do nothing.”), it must be remembered that, besides Scott, the environment included John George Bourinot*, Campbell, William Dawson Le Sueur*, Ritchie, and like men of culture and learning, all of them known to the poet. Lampman’s Angst was nevertheless real enough to him. 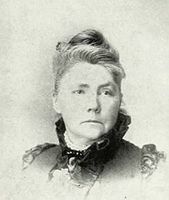 With talents to match his zeal, he is the first Canadian poet (Isabella Valancy Crawford* might have an equal claim) to whom nothing really matters but the world of the poetic imagination, and to the extent that this is so he reflects the problems that arose in the latter part of the 19th century when a hobby became an obsession. The effect on Lampman was to make him push the world, which he had always held at arm’s length, still farther away. His retreat was to nature and the poetry nature engendered. Mercifully, in the year before he died he was tranquil. He was working on one of the finest of his nature poems, “Winter uplands,” in his last days. Lampman achieved excellence in only a relatively small body of poems, perhaps one-third of his total output. Take these away and the residue, which would have to include the long narratives such as “The story of an affinity” and “David and Abigail,” and many of his aphoristic and quasi-philosophical poems such as “Strife and freedom” and “Good speech,” would scarcely qualify him for serious biographical attention. The literary influences that shaped his consciousness at the outset were those to be expected from the offshoot of a literate and solidly anglophile family of the time: Shelley, Wordsworth, Keats, Coleridge, Tennyson, and Arnold, to a lesser extent Byron, Browning, and Swinburne. Of these, Keats and Arnold were the most important: Keats for the restraint and intensity of his imagery (“Keats has always had such a fascination for me and so permeated my whole mental outfit that I have an idea that he has found a sort of faint reincarnation in me.”), and Arnold for his lofty idealism and moral tone. But in the end it was the core of poems he fashioned in his own way that counted. Like Antaeus, Lampman found his source of strength when his feet touched the ground. He made nature his boon companion; he observed, he felt, he recorded. The effect is that of looking through a small window at a piece of landscape carefully ordered and exact in detail. Claude Thomas Bissell has aptly called it “picturesque realism.” This description, however, is too simple. The observed detail, if we include access through sound as much as sight, is certainly there: when the wind comes, the “glimmering leaves” of the poplar “beat / Together like innumerable small hands”; into “the pale depth of the noon” on a heat-soaked day “A wandering thrush slides leisurely / His thin revolving tune”; the “dry cicada” becomes “that crazy fiddler of the hot mid-year”; as the poet walks in a winter forest “A branch cracks now and then, and its soft load / Drifts by me in a thin prismatic shower”; lying in a field of timothy at harvest time he hears “the crackling rustle of the pitch-forked hay”; on a river, canoeing, he watches seven ducks break from the water and “With a swivelling whistle go.” But these honed and crafted images, and there are many of them, would not be enough; taken by themselves they would constitute only, as Arnold observed of the flashy Spasmodic School of poetry in the mid century, “a shower of glittering images.” In the end it is the extraordinarily organic and unified field of apprehension to which these poems attain that marks them as high art. Characteristically, to paraphrase Whitman, the poet loafs and invites his soul. The mood is dreamlike; and surely the word “dream,” or some derivative of it, is the most pervasive of all key words in the Lampman canon. Then, dreamlike becomes trancelike, and the observer, still fixed in a vantage point and quartering his field, flows by some mystic process into the very essences of the picture observed. The symbiosis is astonishingly complete. Seemingly effortless rhymes, deft metrics, and sure harmonies endorse the unity of the canvas. What room for thought with processes like these? Not much. Lampman’s world-view was simple. Like many of his fellows he had lost his faith in Christian dogma and institutionalized religion; the shadow of the Cross does not lie upon his poetry. What is left is a burning idealism, a secular but lofty humanism which looks less to the glory of God than to the glory of man’s soul as it journeys towards peace and justice and freedom in a transcendent relation with nature, called in many poems the Earth Mother. Indeed, of all the strands of 19th-century thought that entered into Lampman’s make-up, transcendentalism was probably the most important. That mode of thought was in the air; it did not need to be specifically Emersonian. At the cutting edge of his mind, Lampman was acutely sensitive to social problems, and about these he wrote forcefully in an essay on socialism (not published in his lifetime) and in two visionary poems, “The city of the end of things” and “The land of Pallas.” But most of these concerns, as also the impedimenta of aphorisms and moral imperatives he inherited from a sententious age, were shed like debris from a comet when he entered his world of nature. Here the structure of attitudes and values becomes elementary and undogmatic as he moves from sensory exposure to mystical identification. He had picked up and nourished from his early reading of Shelley the idea of contemptus mundi, the rejection of the world. In many of the best Lampman poems the city is there, and it is evil, the haunt of materialism and greed and cruelty among men. But the city is characteristically at Lampman’s back. He faces nature, and nature, at first simply restorative to body and mind, becomes in the end sacramental, the means whereby the Soul (and the word is usually capitalized) “Feels upward to some height at last,” aching for union with “the Master Spirit of the world.” Thought there is, but it is of a certain transcendental order. In the concluding lines of the poem “Heat,” one of the best known of Lampman’s poems, the speaker says: “In the full furnace of the hour / My thoughts grow keen and clear.” What thoughts? We are not told. The short poem “The choice” begins with a rejection of the “conflict” and “pomp” of the world and ends with the lines: “I sit me in the windy grass and grow / As wise as age, as joyous as a child.” At the core of Lampman’s best, the thought is the poem. In August 1895 Lampman wrote Thomson a gloomy and embittered letter. Having accused himself of being a coward and a hypochondriac, he concluded: “I am a minor poet of a superior order and that is all.” With due allowance made for his melancholy state at the time, he was probably not far off the mark. A major poet takes us into a world of the imagination whose luminous boundaries forever recede before our outstretched minds and sensibilities. Lampman does not do this for us. Yet the fact remains that over the course of nearly one hundred years he has enjoyed friendlier and more persistent attention from critics and scholars (including, in recent times, the many writers of theses and dissertations) than any of the poets who were his contemporaries. Scott is perhaps the exception, but Carman and Roberts are not. They came on early, were showered with accolades until about the end of the 1920s, and then slipped back. There are several reasons for Lampman’s durability. The first, which may not have much to do with his poetry, is that he comes through to us as a thoroughly likeable person. The recent publication of his correspondence with Thomson has confirmed a picture, long ago projected by Scott, of a person of great integrity, wit, and charm; and, one must add for the record’s sake, considerable courage. He was above all, perhaps to his cost, always honest with himself. The second reason has to do with Scott’s role for almost fifty years as custodian and promoter of the Lampman record. For it was Scott who was the prime mover in bringing out the memorial edition of 1900 by means of which the extended Lampman œuvre in poetry was established; and it was Scott who brought out a handsome selected edition of the poems in 1925, and another edition, more rigorously selected, in 1947, the year of his death. Most important, Scott joined with Edward Killoran Brown* to bring out in 1943 a final culling (as they thought) of hitherto unpublished texts, At the Long Sault and other new poems; and on this occasion, as on other occasions previously, he did not hesitate to make what he felt were improvements on the manuscript versions of the poems. Both Lampman the man, therefore, and Lampman the poet, as we know them, are in a real sense creations of D. C. Scott. Neither could have been in better hands. The third reason is more substantive. Lampman, at his best and in the chosen field of his concern, was a master of his craft. His many revisions between draft and final copy show this. The result was a poetry of precise yet evocative imagery and, overall, a kind of directness that was shorn of the sentimental and didactic trappings of much of the poetry of his time. He therefore survived handily the transition in Canada from traditional to modern poetry, which in the late 1920s led to heavy attacks on the frequent fuzziness of the so-called Maple Leaf school of poets of the confederation years. Lampman was all right. And with what great pleasure Louis Dudek and Irving Peter Layton, in their “social conscience” mood of the 1940s, discovered at least the glimmerings of a like conscience in Lampman’s “To a millionaire” and “Epitaph on a rich man”! In On Canadian poetry (Toronto, 1943), Brown had no difficulty in rearranging the pecking order for the “poets of the Confederation”: Roberts and Carman were dethroned; Lampman was ranked high with Scott. It was an important critical judgement, and it has on the whole been sustained. Finally, there are all the intangibles that are rewards in the presence of excellence in whatever age or place. Lampman’s sonnets, particularly those on the subject of nature, are among the best in the English language. Memorable lines may not be a reliable touchstone of fine poetry, but they tell us something; and Lampman is full of memorable lines. The concluding line of a poem on the autumn season stuck to Brown’s mind like a burr: “October with the rain of ruined leaves.” The Lampman flame is small, but it is clear and bright, and it will burn for a long time. Archibald Lampman’s published output, both poetry and prose, has recently become more widely available in a number of reprints accompanied by scholarly introductions. Comprehensive bibliographies of works by and about him include those in L. R. Early, “Archibald Lampman (1861–1899),” Canadian writers and their works, ed. Robert Lecker et al., intro. George Woodcock (9v. to date, Toronto, 1983– ), poetry ser., 2: 135–85, and the same author’s Archibald Lampman (Boston, 1986); an earlier work is George Wicken, “Archibald Lampman: an annotated bibliography,” The annotated bibliography of Canada’s major authors, ed. Robert Lecker and Jack David (7v. to date, Toronto. 1979– ), 2: 97–146. The following is a selection of the most significant sources. ACC, Diocese of Ottawa Arch., St John the Evangelist (Ottawa), reg. of marriages, 3 Sept. 1887; reg. of baptisms, 13 July 1894; St Barnabas (Ottawa), reg. of baptisms, 10 April 1892; Christ Church Cathedral (Ottawa), reg. of baptisms, 9 July 1898. Beechwood Cemetery (Ottawa), Burial records, 1894. City of Ottawa Arch., A. L. [Archibald Lampman], framed note to W. A. Code of the Post Office Dept. Library of Parliament (Ottawa), Archibald Lampman papers. NA, MG 29, D59; MG 30, D61, 2: 521. Simon Fraser Univ. Library, Special Coll. (Burnaby, B.C. ), Archibald Lampman coll. UTFL, mss 5058 and general mss, Archibald Lampman, poems. An annotated edition of the correspondence between Archibald Lampman and Edward William Thomson (1890–1898), ed. and intro. Helen Lynn (Ottawa, 1980). At the Mermaid Inn, conducted by A. Lampman, W. W. Campbell, Duncan C. Scott; being selections from essays on life and literature which appeared in the Toronto “Globe,” 1892–1893, ed. A. S. Bourinot (Ottawa, 1958). At the Mermaid Inn: Wilfred Campbell, Archibald Lampman, Duncan Campbell Scott in the “Globe,” 1892–3, intro. Barrie Davies (Toronto, 1978). Archibald Lampman, Archibald Lampman’s letters to Edward William Thomson (1890–1898), ed. and intro. A. S. Bourinot (Ottawa, 1956); “Two Canadian poets: a lecture,” Univ. of Toronto Quarterly, 13 (1943–44): 406–23. Poets of the confederation: Charles G. D. Roberts, Bliss Carman, Archibald Lampman, Duncan Campbell Scott, ed. M. M. Ross (Toronto, 1960). D. C. Scott, “Copy of a letter by Duncan Campbell Scott to Ralph Gustafson,” Fiddlehead (Fredericton), 41 (1959): 12–14. Some letters of Duncan Campbell Scott, Archibald Lampman & others, ed. A. S. Bourinot (Ottawa, 1959). Susanna [Strickland] Moodie, Susanna Moodie: letters of a lifetime, ed. C. [P. A.] Ballstadt et al. (Toronto, 1985). Globe, 5 Jan. 1867. Ottawa Evening Journal, 10 Feb. 1899. Oxford companion to Canadian hist. and lit. (Story). Oxford companion to Canadian lit. (Toye). E. K. Brown, On Canadian poetry (Toronto, 1943). C. Y. Connor, Archibald Lampman: Canadian poet of nature (New York and Montreal, 1929; repr. Ottawa, 1977). Roy Daniells, “Lampman and Roberts,” Lit. hist. of Canada (Klinck et al. ; 1976), 1: 405–21. The Lampman symposium, ed. and intro. Lorraine McMullen (Ottawa, 1976). Ernest Voorhis, “The ancestry of Archibald Lampman, poet,” RSC Trans., 3rd ser., 15 (1921), sect.ii: 103–21. Robert L. McDougall, “LAMPMAN, ARCHIBALD,” in Dictionary of Canadian Biography, vol. 12, University of Toronto/Université Laval, 2003–, accessed April 24, 2019, http://www.biographi.ca/en/bio/lampman_archibald_12E.html.